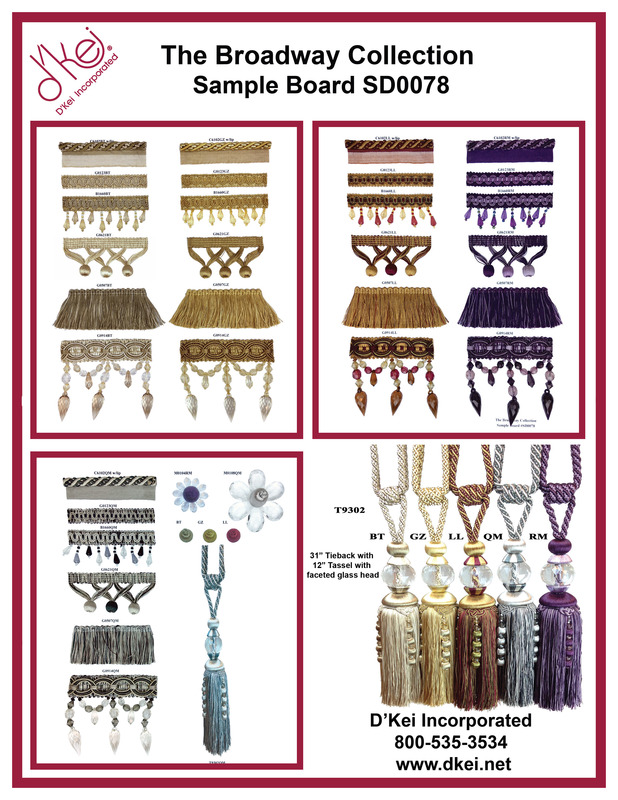 Making its debut in the Fall of 2014, D’Kei presents the Broadway Collection of trimmings. 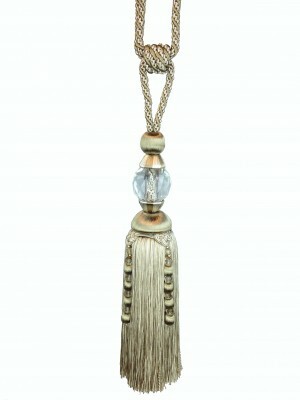 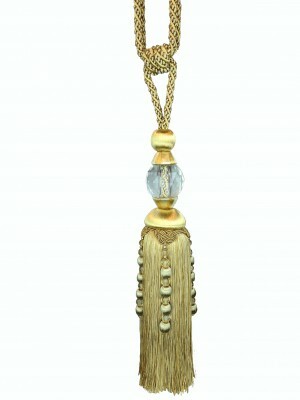 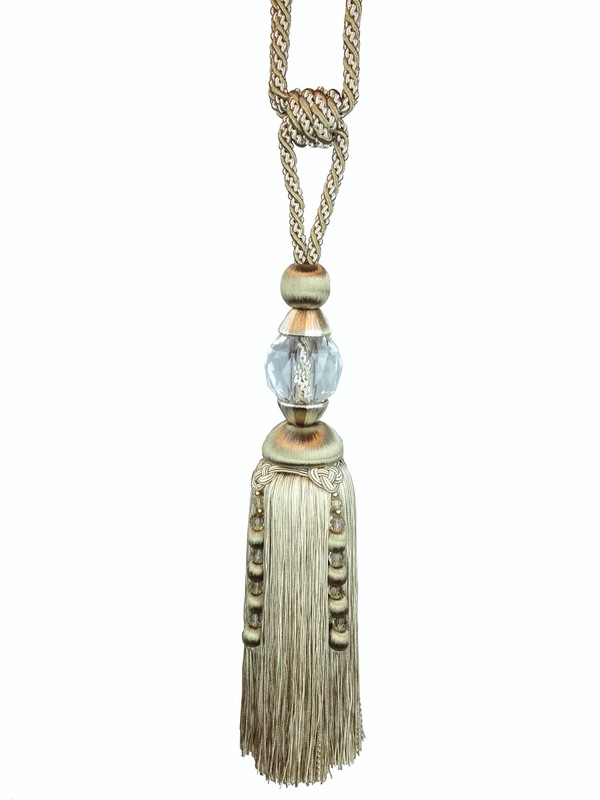 Add drama to your clients’ floor to ceiling windows with the substantial beaded trim component that features large, high-quality faceted beads paired with the rich drapery tiebacks featuring an exquisite faceted real glass head. 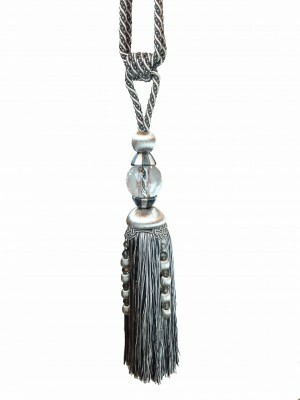 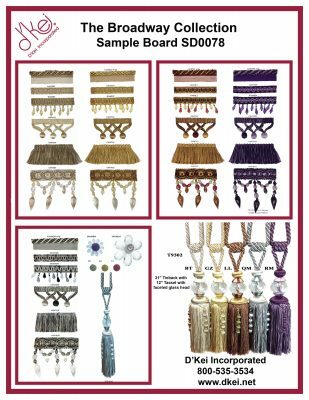 This collection also offers a criss-cross wrapped ball fringe, a petite beaded fringe with a decorative gimp head, gimp, and cording with lip. 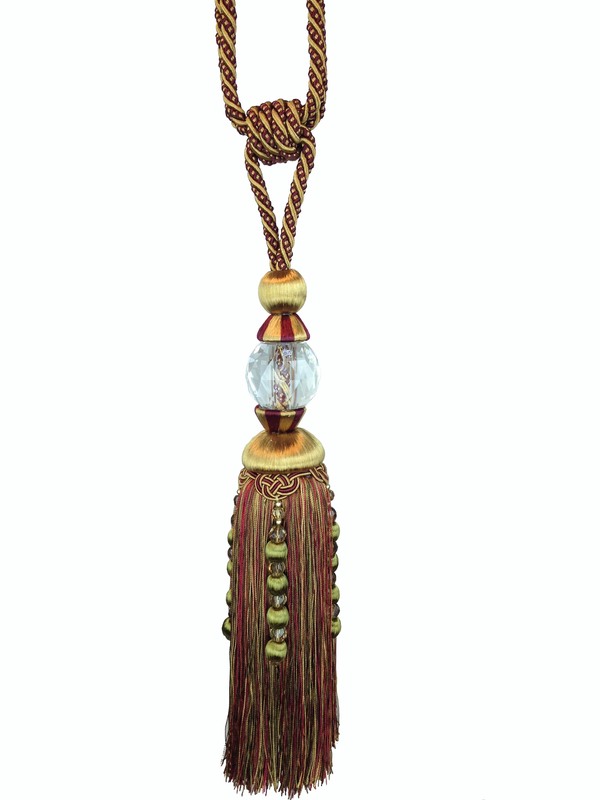 For a unique finishing touch on a drapery pleat, cornice board, on the end of a roll pillow, or upholstery tuft, check out the faceted acrylic floral medallions featuring the trim collection colors as the center rosette. 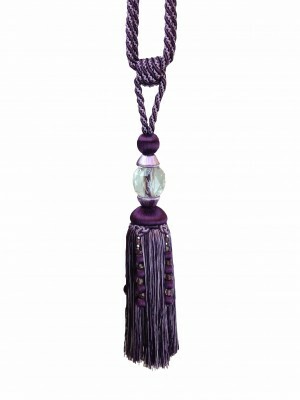 This collection comes in five colorways including a stunning purple blend and a charcoal gray blend.